Anritsu Company has announced the industry’s first call-based LTE Advanced Carrier Aggregation testing capability that can be integrated into its MD8430A LTE Signaling Tester. 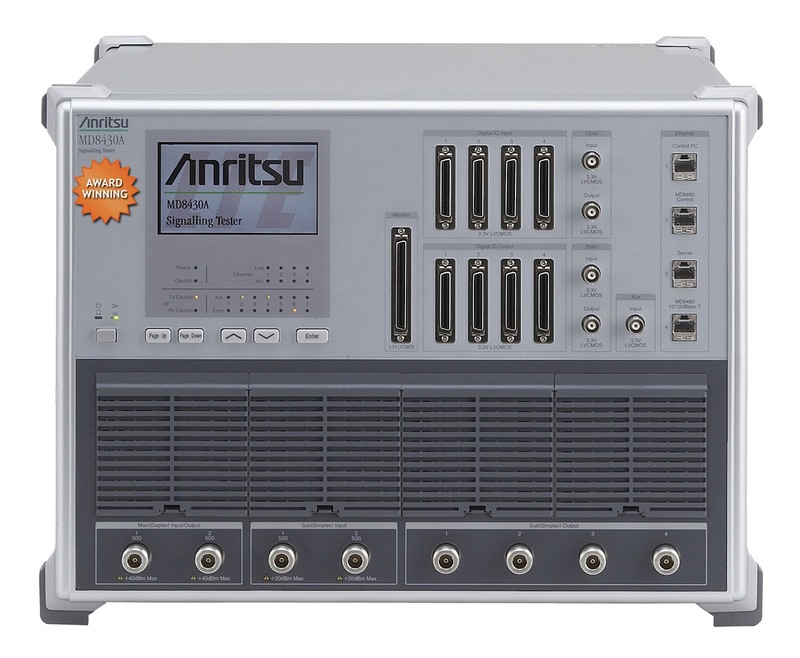 The software-only upgrade leverages the four available RFs in the MD8430A, and provides 300 MB/s downlink throughput using two 2x2 MIMO Component Carriers (CCs). When configured with this option, the MD8430A can test advanced wireless devices at twice the rate available on today’s most advanced LTE networks. The MD8430A-085 LTE Carrier Aggregation option for the MD8430A is available now for testing LTE Category 6 wireless devices. This new option joins a host of other advanced software options, including FDD-LTE and TD-LTE (individual or combined), enhanced Multicast Broadcast Multicast Service (eMBMS), Robust Header Compression (RoHC), and ZUC ciphering.